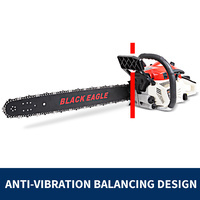 Now you can stop wasting your time cutting unwanted branches. 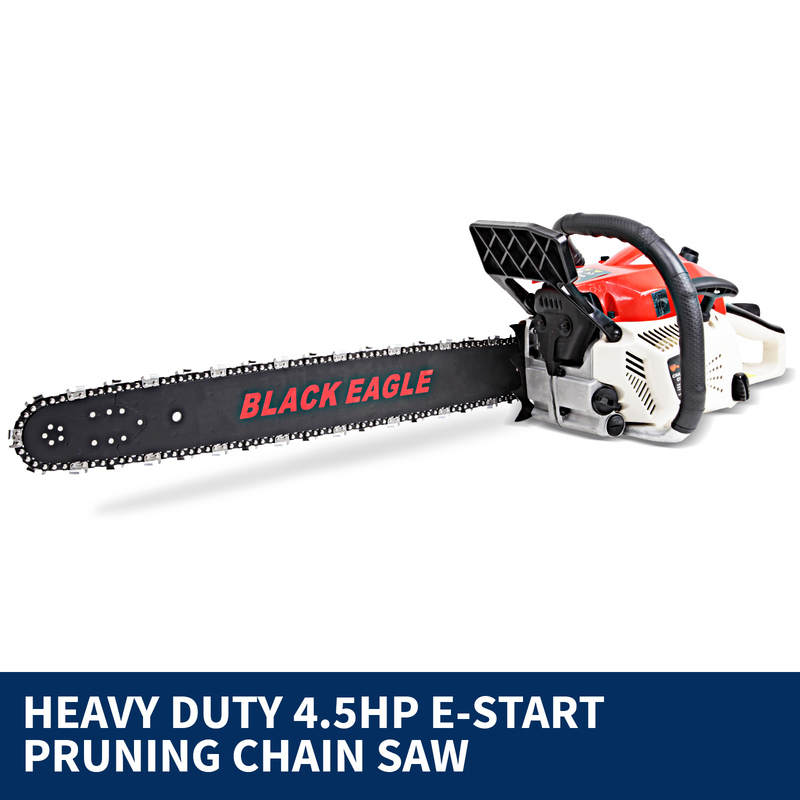 The new Black Eagle 82cc petrol commercial 24’’ bar E-start pruning chainsaw will change the way you prune your garden forever. 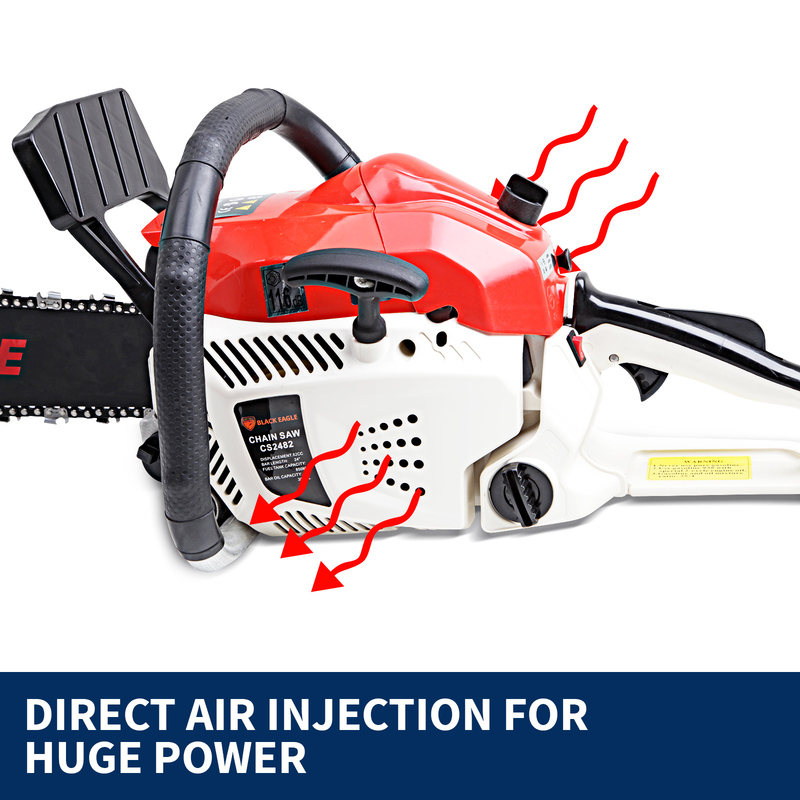 Experience power like never before with our direct air injection system. 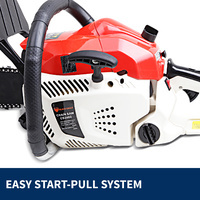 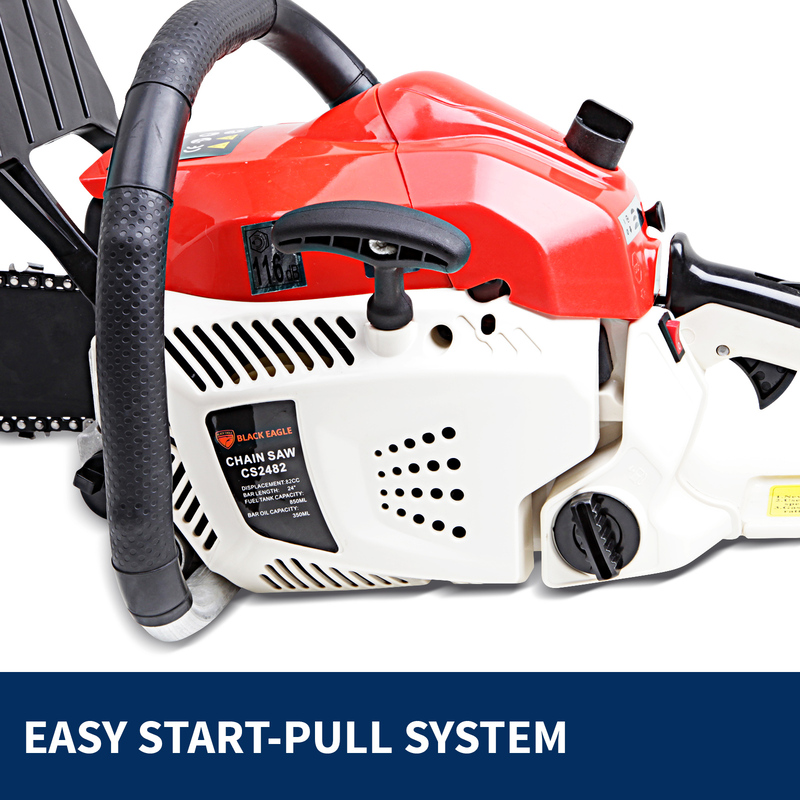 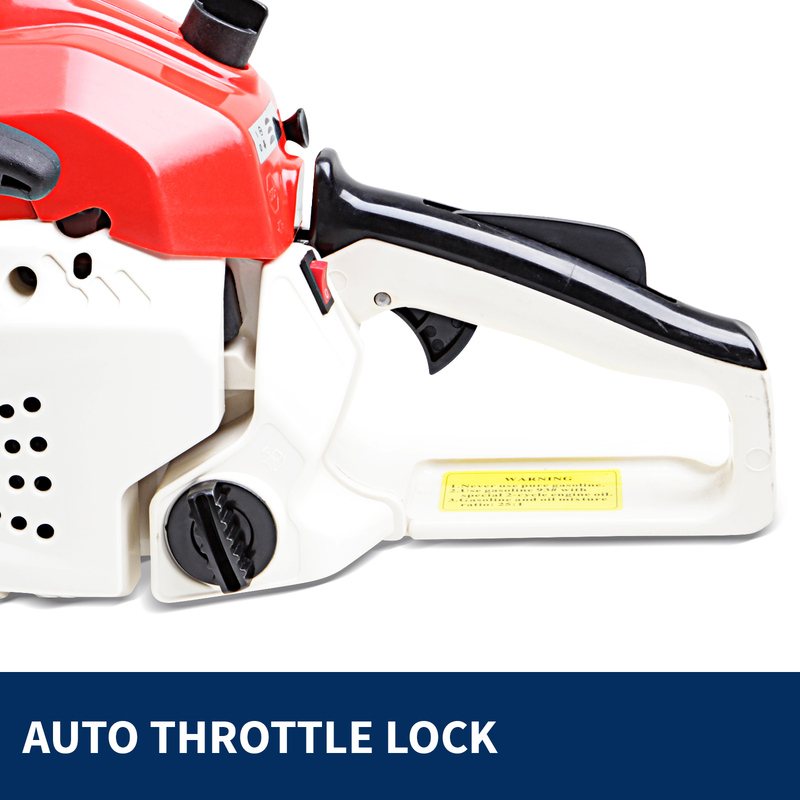 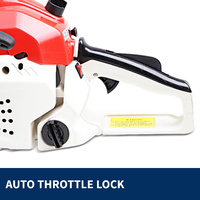 We have enhanced the user experience with the easy start-pull system and auto throttle lock. 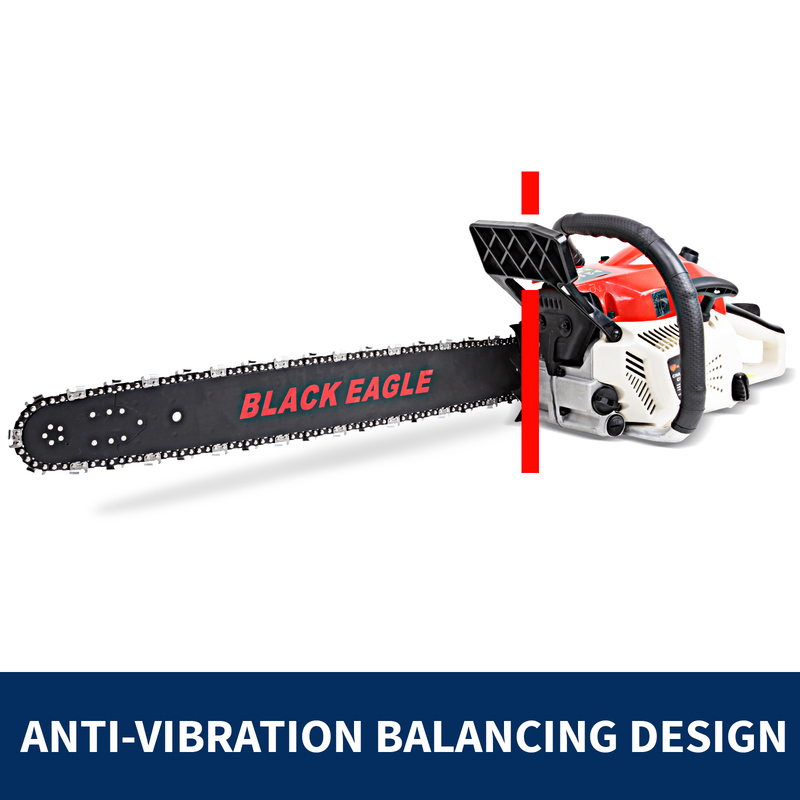 Precision cutting and pruning are now a reality with our state-of-the-art anti-vibration balancing design. 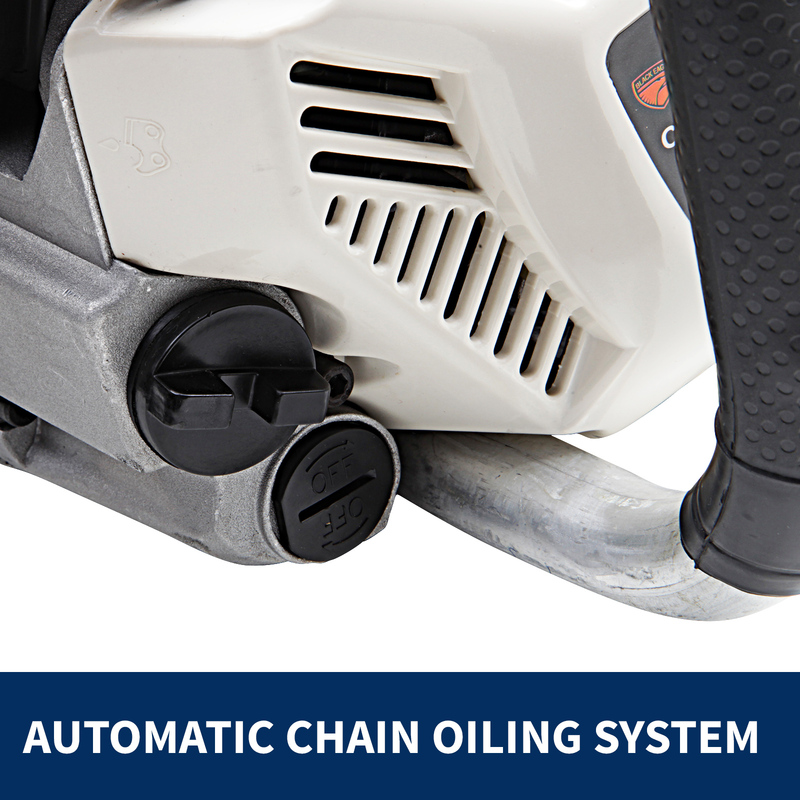 The automatic chain oiling system will protect and keep your chainsaw running smoother for longer. For your convenience and as an added bonus, you’ll also receive a spare chain and safety pack! 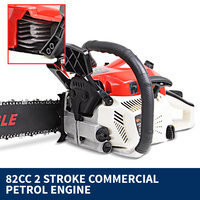 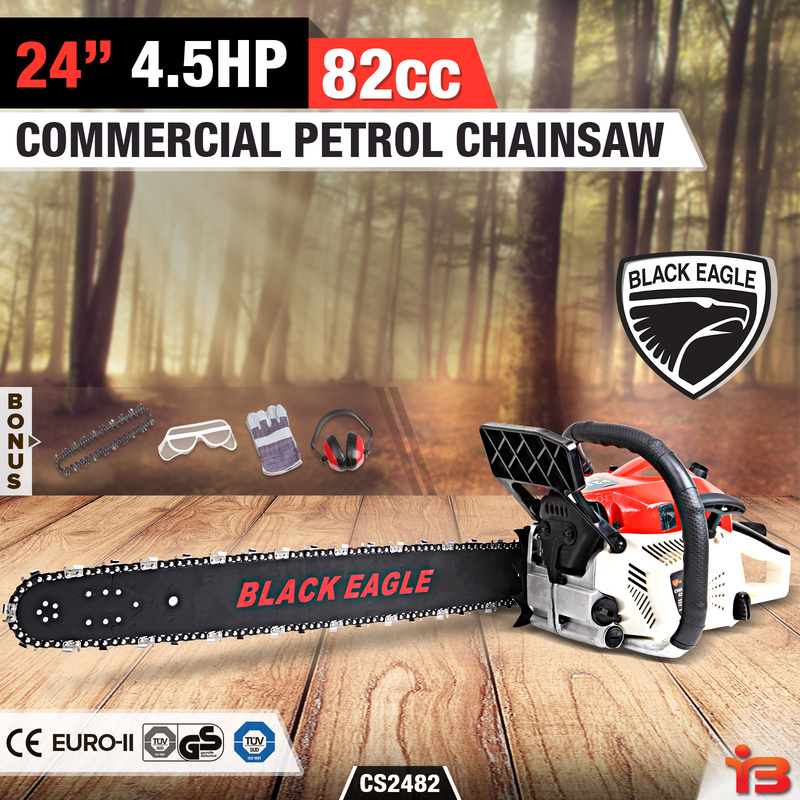 The Black Eagle chainsaw features a two stroke commercial petrol engine with a maximum power output of 5.5 hp and features a displacement of 82 CC that gives you a maximum speed of 11000 rpm. 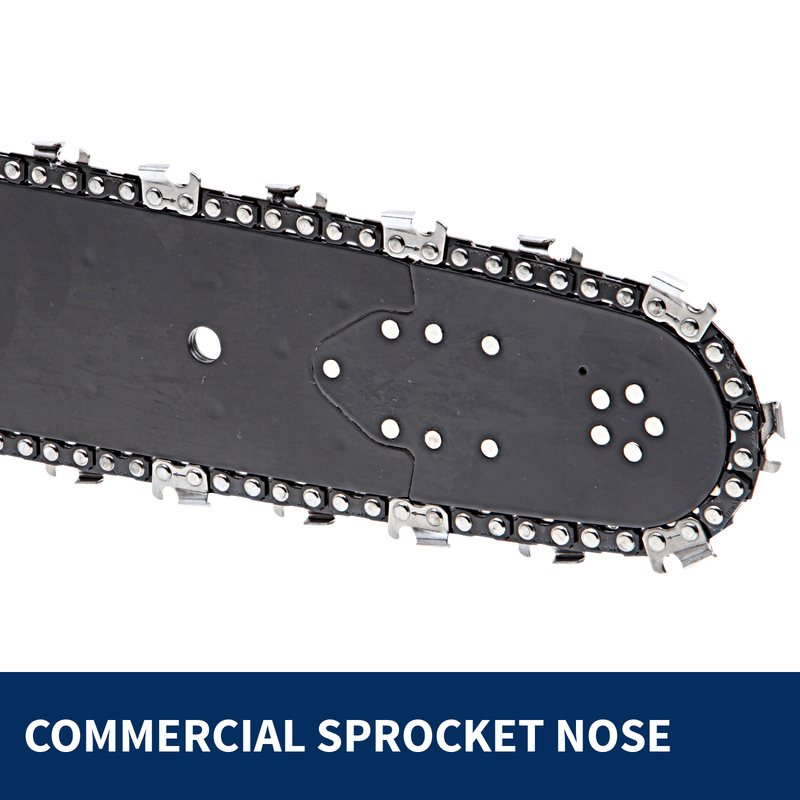 The 24-inch sprocket nose bar allows you to maneuver into all those hard to reach places so you can trim your garden to perfection. Your Black Eagle chainsaw now comes standard with a 670ml fuel tank capacity to reduce fill-up frequency. It is also equipped with 350 ml oil tank capacity to keep your bar running smoother for longer. 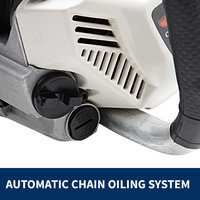 Quick and easy assembly of the parts is required for shipping purposes. 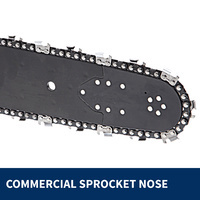 You can rest assured that chainsaw spare parts are readily available. 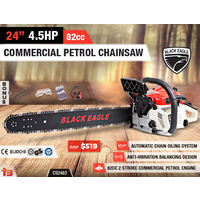 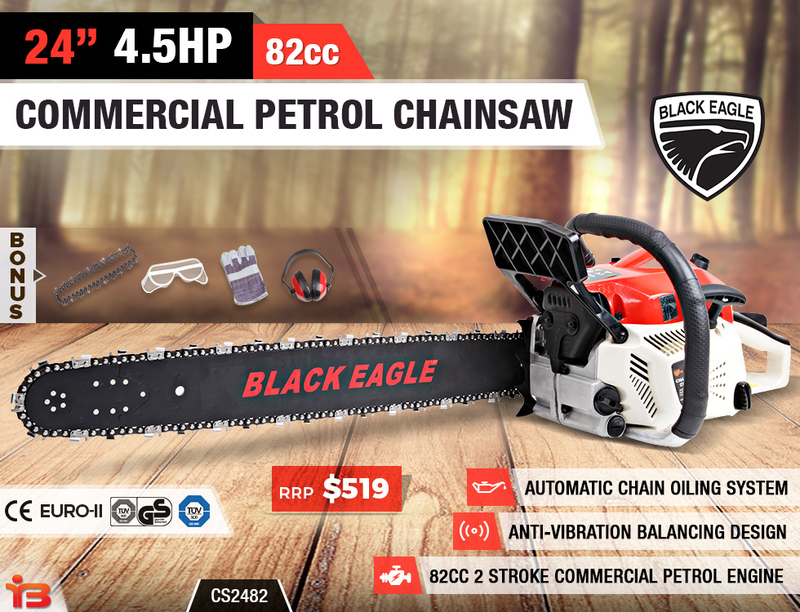 The 8.5 kg Black Eagle chainsaw has enhanced weight reduction features for added comfort and less strain while maintaining the required power and durability. 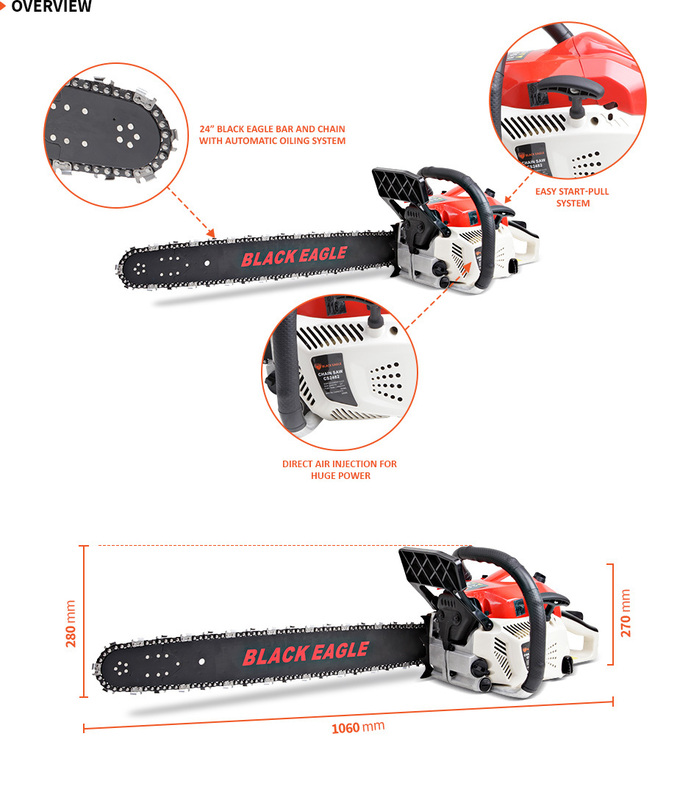 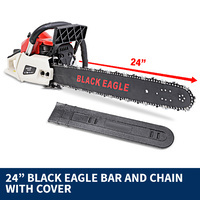 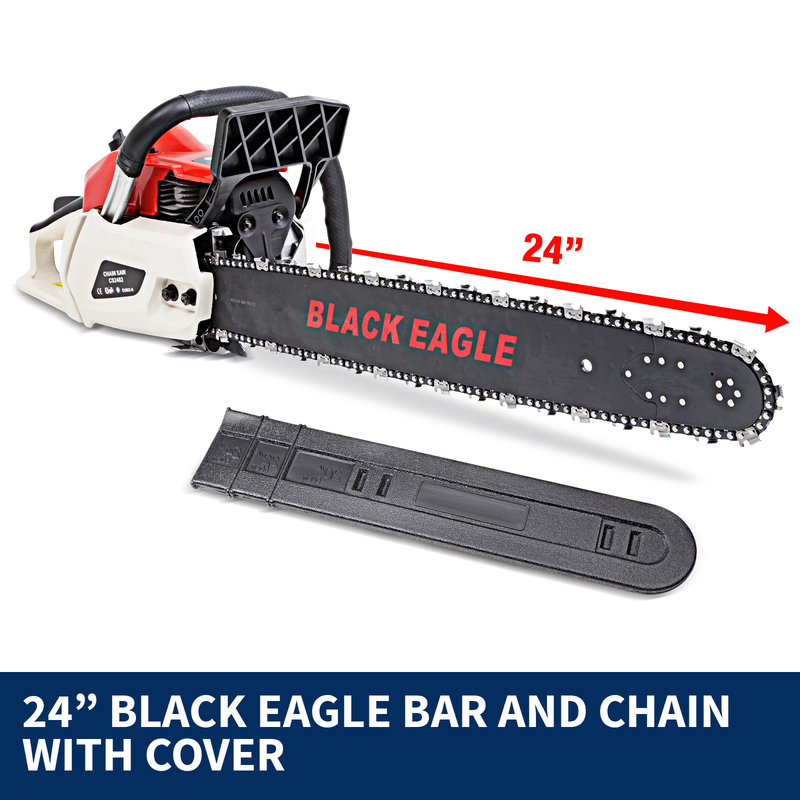 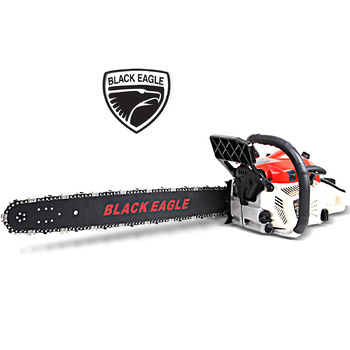 Your Black Eagle chainsaw package includes the following parts: one Black Eagle 82cc chainsaw, one bar cover, a fuel mixer, user manual, one year warranty as well as a high-quality tool kit! 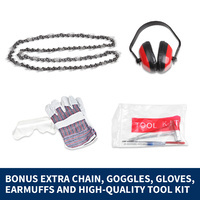 As an added bonus we have also included one extra chain, goggles, gloves, and earmuffs. 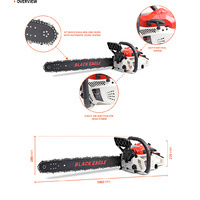 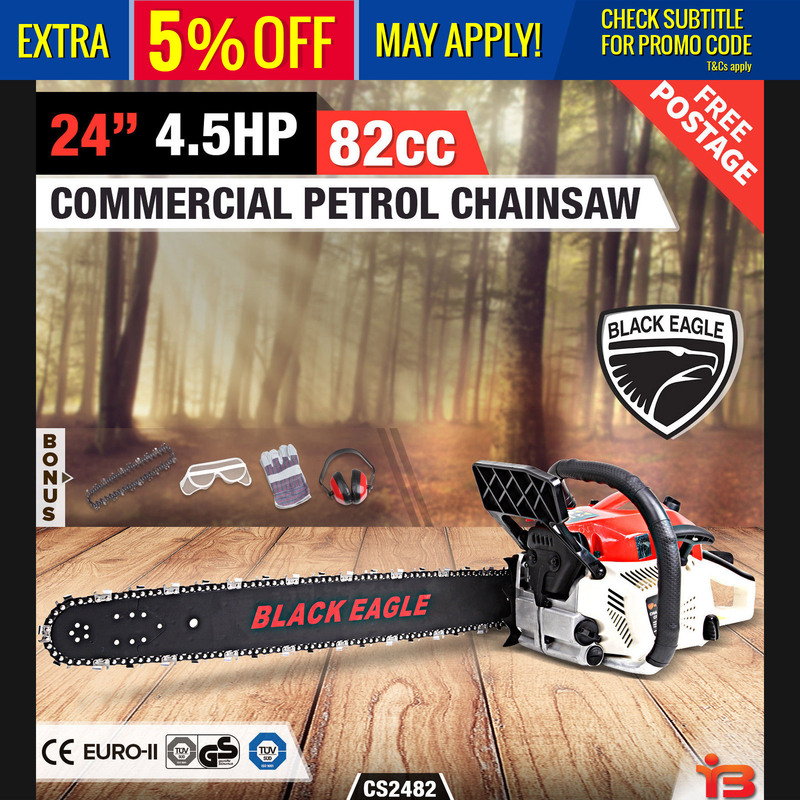 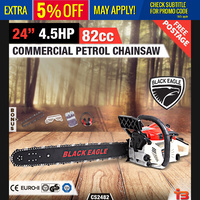 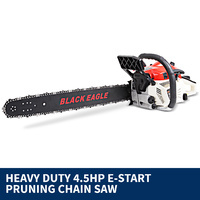 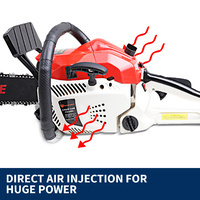 Order your Black Eagle chainsaw while stocks last and turn garden maintenance into a breeze!